Over the summer, Coburn Projects presents a group show with a selection of new and vibrant paintings. Refiguring brings together a young generation of painters who have either studied or currently live in New York City. Although each of the artists has a different technical approach, their paintings result in a fascinating in-between state of figuration and abstraction, capturing an unknown but precise setting. Evoking visual contradictions for the viewer, these particular paintings are storytelling, ritual or humorous collages and shades, whether materially or spiritually speaking. Throughout, the figure articulates many of the fundamental contrasts of contemporary painting – between coherence and fragmentation, narrative and abstraction, or intention and naiveté. The subject in its many guises comes to speak of the plurality of painting itself. 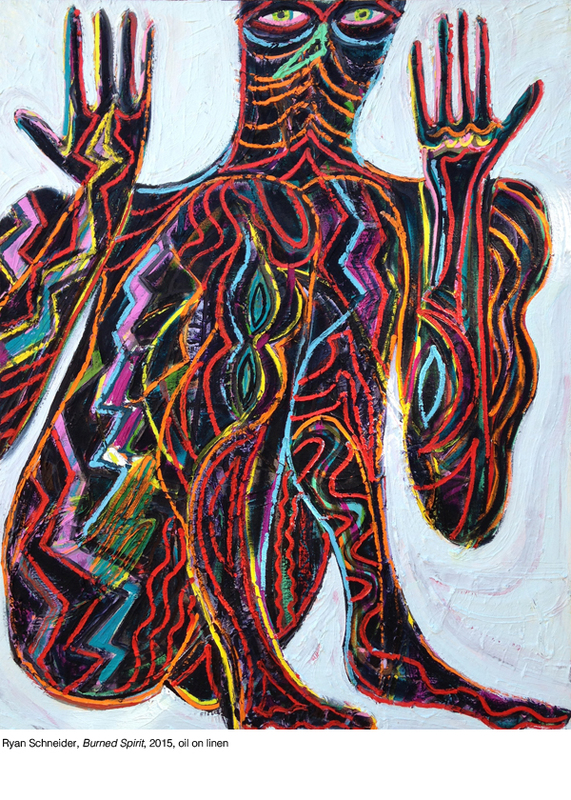 Austin Eddy – In the oeuvre of Austin Eddy one detects his affinity for the early modernists. His collage paintings stage figures rendered in profile and made from simplified forms on blank canvases. They reflect a naïveté but also act like masks depicting our confused and emergent contemporary art culture. As Eddy states, he is enthralled by multiple perspectives coexisting in a canvas, successive points of views with completely different angles that can be encapsulated in one single art piece. Austin Eddy (born 1986 in Boston, MA) graduated in Painting at the School of the Art Institute of Chicago in 2008. Recently, he had solo shows at Roberto Paradise Gallery, San Juan and Christian Berst, NY and his work could be seen in recent group shows such as Character Traits at Asya Giesberg Gallery NY, What’s Up? At Bendixen Contemporary Art in Copenhague and in July, he participates in Black and White at AmeringerIMcEneryIYohe, NY. Eddy lives and works in Brooklyn, NY. Tamara Gonzales – Gonzales’ figures made out of cardboard stencils appear in the surface as not exactly figurative, but neither as wholly abstract. Her technique of spray paint and using laces as stencils, give the surface of her canvases something ritual or spiritual that replaces the missing perspective. These stencils become icons of power and energy, and taken as a body, Gonzales’s oeuvre creates a complex iconography through the repeated characters, each expressing something dynamic, tribal, comical or tragic. Born in Madera, California, Gonzales went to art school at the east coast and lives and works in Brooklyn. She had a recent solo exhibition at Klaus von Nichtssagend Gallery, NY and participated in group shows such as Yin Yang at 99 Cent Plus, Between a Place and Candy (cur. Jason Andrews) at the The American Academy of Arts & Letters and Bullet in the Brain at Brian Morris Gallery in New York. She is represented by Klaus van Nichtssagend Gallery New York. Shara Hughes – Shara Hughes’ storytelling compositions often depict a scene that evokes layers of figurative and abstract elements. Hughes’ describes her paintings as “detailed and tight but playful and loose at the same time”. Her lively, spontaneous brushwork and sense of colour are central to withdraw the observer from the mystical and often somehow tragic content. Green Monster has been shown for the first time at MOCA, Georgia. Shara Huges lives and works in Brooklyn, NY. Graduated from the Rhode Island School of Design she attended later on the Skowhegan School of Painting and Sculpture. She had this year a solo show at the American Contemporary, NY and in 2014 at the Institute 193, Lexington and MOCA Georgia, Atlanta ; Atlanta Contemporary Arts Center, Atlanta (2013). Recent group exhibitions: Tiger Tiger, Salon 94, NY; Sprawl, High Museum of Art, Atlanta; Abstract Horizons, Gredier Contemporary, Zurich, Switzerland; Translated Cities, Shirin Gallery, NY; Sculptures and Works on Paper, Mikael Andersen Gallery, Berlin. Ryan Schneider – Schneider's canvases, activated by his quest to "hear what wants to be painted", explore the mysteries within the desert's silence and plunge into the unresolved conflict between the wild and the manmade. The narrative gains momentum when we, as viewers, surrender our sense of structure and logic to the magic of disorder, mistake and spontaneity. In his most recent paintings, the figure’s absence of surrounding evokes a more mental and spiritual presence. Ryan Schneider received his BFA from the Maryland Institute, College of Art in 2002. Schneider has participated in numerous solo and group exhibitions worldwide. Recent shows include Ritual for Letting Go, a solo exhibition at Two Rams, NY, Media at Galleri Jacob Bjørn, Denmark, Et Brask Spark - selections from the collection of Jens Peter Brask, at the Munkeruphus Museum, Denmark, Ritual Magic at Greenpoint Terminal Gallery in Brooklyn, and Schneids and Heids, a two person exhibition with Daniel Heidkamp at Bendixen Contemporary Art in Copenhagen. Schneider’s work has been featured in Whitewall Magazine, Modern Painters, The New Yorker, Art in America, The Brooklyn Rail, ArtInfo, Artblog, New American Paintings, Art Fag City, Brask Art Blog, NYC Art Scene, and the cover of The Diner Journal, among other publications. Schneider currently lives and works in Brooklyn, NY. Guy Yanai – Guy Yanai’s rhythmic and meticulous brushwork of stripes along the horizontal canvas, as well as his use of vivid colours and ordinary subjects, result in compositions of nowhere and everywhere. These most recent works of potted plants, standing like neutral monuments in a non-specific surrounding but with very specific titles such as ‘End of Europe’, direct and shape our way of perception. The seemingly mechanical nature of Yanai’s paintings is misleading as the more time spent with the work, the more there is to discover, such as his surprising use or disregard of shadows. Born 1977 in Haifa, Israel, Guy Yanai currently lives and works in Tel Aviv but attended Parsons School of Design and the New York Studio School. He received a BFA from Hampshire College, Amherst, MA. Yanai has exhibited at the Velan Center for Contemporary Art, Turin; Rothschild 69 Kunsthalle, Hangar Bicocca, Milan; The Spaceship on Hayarkon 70, Ashdod Museum of Art, Charlotte Fogh Gallery, Aarhus, DeBuck Gallery, ALICE Gallery, Brussels; and Le Coeur, Paris, among others. 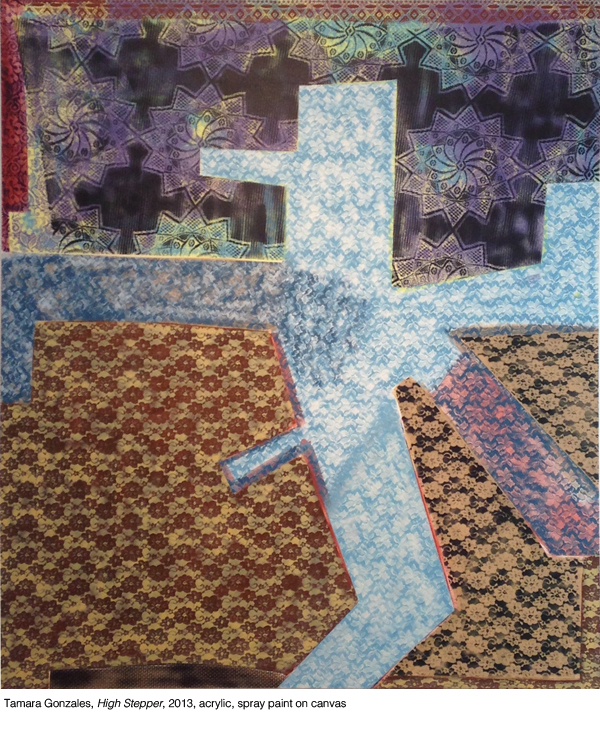 Current and recent solo exhibitions include Ancienne Rive, AmeringerIMcEneryIYohe Gallery New York; Diary at Galerie Derouillon, Paris; First Battle Lived Accident at Alon Segev Gallery, Tel-Aviv; Accident Nothing at Aran Cravey Gallery, Los Angeles; Battle Therapy Living Room at the Velan Center for Contemporary Art, Turin; and Lived & Laughed & Loved & Left at La Montagne Gallery, Boston.